This lot is a 1958 Original Linen Wisden. 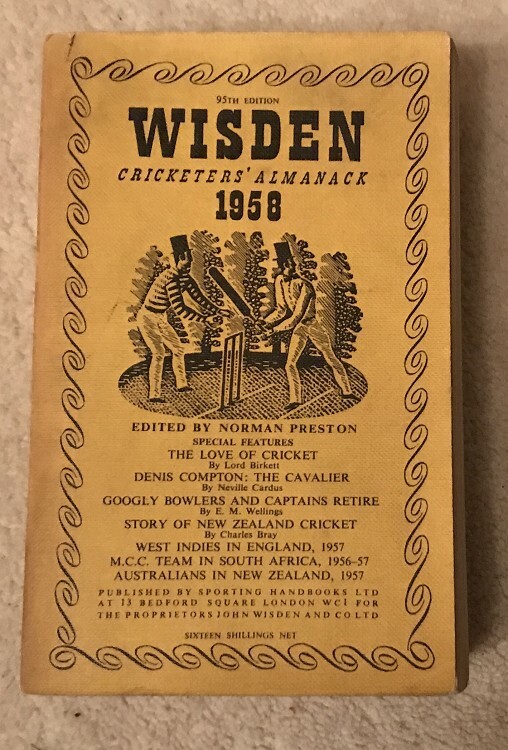 This Wisden is nice the only thing to note is that the covers have a touch of darkness and the rear has a mark. Internally nice, has a slight read feel but for a 60+ year old book it is holding its own.